HIARCS is a multiple World Championship winning chess program and the only handheld chess program which has won matches and tournaments with Grandmasters. 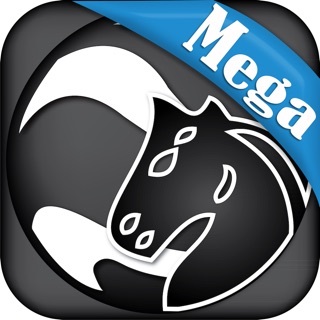 It twice won the Mercusor Cup tournament in Buenos Aires, Argentina ahead of Grandmasters, the last time with a performance beyond 2900 Elo, the best chess performance rating for any handheld device in history. In 1997 the World's strongest ever human chess player, Garry Kasparov, said "HIARCS is much better positionally than Deep Blue" and ex World champion, Vishy Anand, in a recent 2011 interview when asked what chess program he uses to analyse with said "generally I use HIARCS". 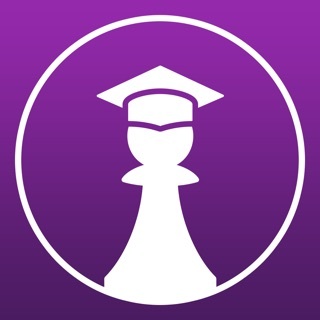 HIARCS Chess for iPad harnesses this chess power to enable your iPad to play chess like a super Grandmaster, analyse games and chess problems with you, or play at whatever weakened chess strength you want from beginner to GM strength while offering numerous features to help you learn and improve as you play with HIARCS. 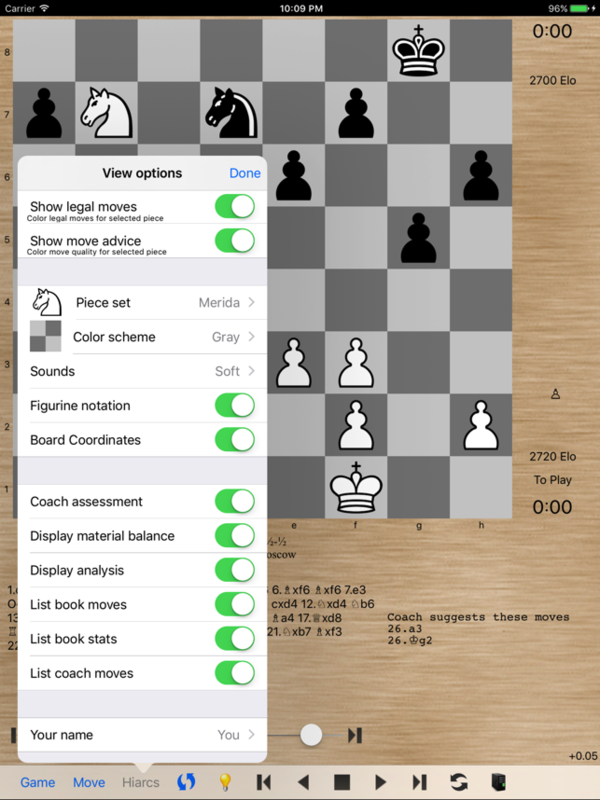 An advanced set of coaching features helps players of all strengths improve their chess play. HIARCS Chess has a full range of realistic weaker opponent strengths and playing styles catering for players of all abilities from absolute beginners to Grandmasters. On the weaker playing levels HIARCS will make human-like mistakes appropriate to the level of play and this together with the integrated coach advice, assessments and alerts allow you to learn and improve quickly. 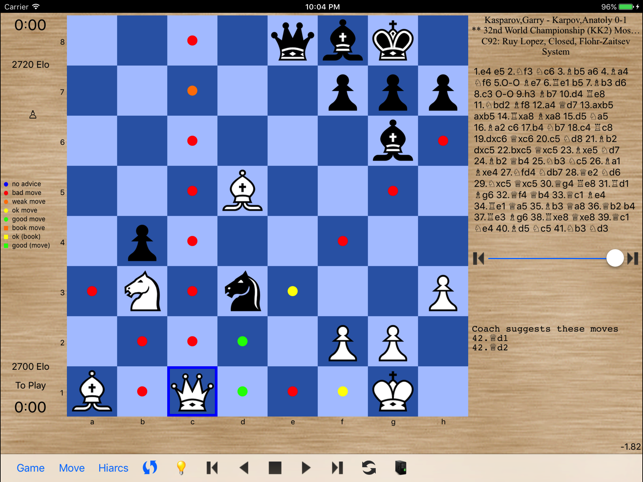 HIARCS also monitors your chess performance and provides you with an Elo chess rating which tracks your chess ability in every game. It can continuously adjust its playing strength to give you challenging but beatable opponents as you improve. HIARCS Chess will save battery life by using much less energy on the weaker levels, allowing more playing time on long journeys etc. 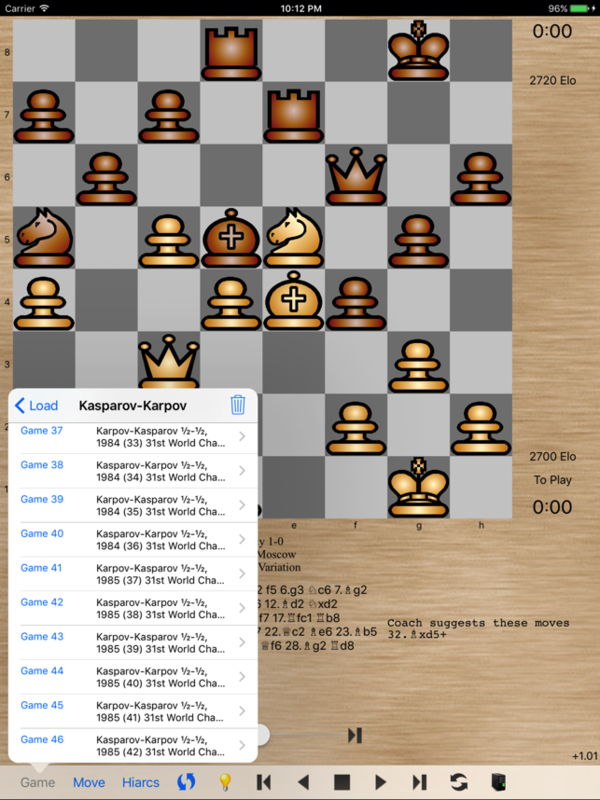 You can transfer PGN game databases to and from HIARCS Chess and load/save your chess games in PGN format, it even has databases of all the games between Fischer & Spassky and Kasparov & Karpov for you to play through and enjoy. 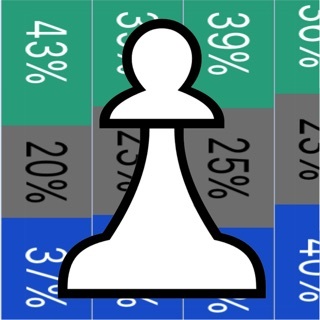 HIARCS has a large tournament book which is up to date with chess theory with over 235,000 variations. 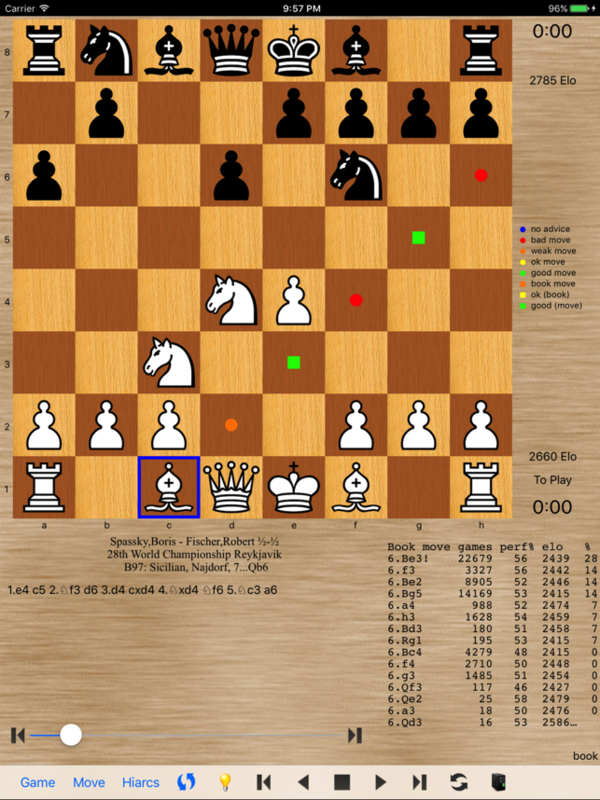 The book moves are displayed on screen with chess symbols and the opening variations are named and ECO coded. + Large HIARCS tournament opening book as used by the professionals! I think HIARCS lives up to expectations. It’s not the strongest engine, but that’s not what I wanted. HIARCS plays chess good enough so I have a sparring partner to practice chess with. One thing I like is that at my low rating level, the game feels pretty much like a human player. What do I mean by that? It doesn’t seem to make moves that are so blatantly bad that you are screaming at the engine, “why didn’t you take the piece I left hanging on accident?” HIARCS will make more subtle weak moves is my guess. If you hang a pawn or piece HIARCS will take it in my experience. Anyway if you want a decent chess partner for you iPad and that goes nicely and plays as consistent as the Mac version then this is probably worth the money you pay. One piece of advice if you’re planning to purchase this and the desktop version I’d recommend buying this first? Mine came with a discount off the HIARCS Chess Explorer and it stung a little when I found out I missed on a discount. This app is very close to satisfy my needs except for one missing functionality. 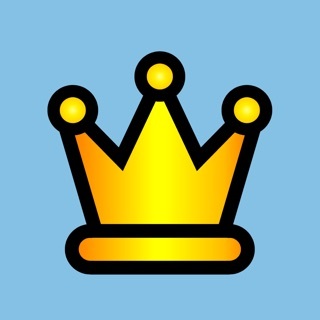 There are a million chess apps in App Store now but none of them is willing to be a pure and real chessboard. That is, I need a PUZZLE SOLVING MODE with NO moves and arrows shown. No hint and AI engine coaching available. This will force the learner to solve the puzzles. This is what I need. The engine is excellent and is a good sparring partner. However, the GUI implementation looks like something designed using MS FrontPage around the turn of the century. The chess clock settings are limited. 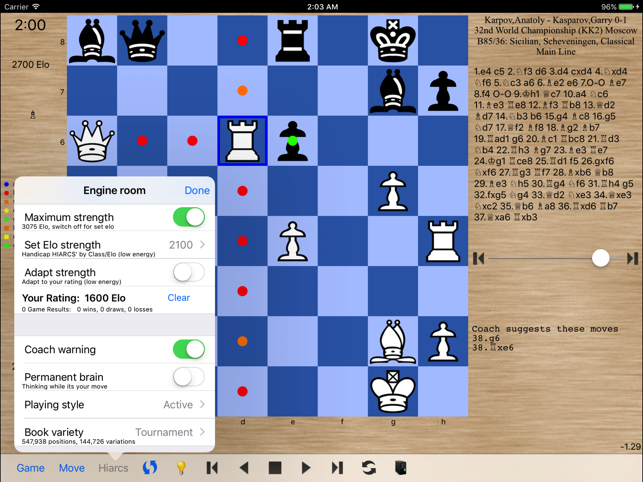 If looking for the best GUI and ability to analyze games played, check out Chess Pro (Chess Tiger engine) Christophe Theron that is a weaker engine but strong enough and a much better overall chess app. © Copyright 2009-2018 Applied Computer Concepts Ltd.